Needed to fit extra vent in my caravan. This did the job perfectly and at a reasonable price. Above all excellent service from the company. Item just as described, delivered by Royal Mail in the within the week. I have installed the new pipework in my van and it works well. Thanks. Sadly Wales will no longer benefit from the warm air heating in our van as leisureshopdirect came to the rescue with 5m of ducting. Two top tips: measure the pipe to be replaced BEFORE you order it;) I have 2 spare metres if anyone is interested; secondly Screwfix sell spiral wrap, 2 rolls of which were enough to insulate the 3 metres used on the van. Make sure you secure the pipe thoroughly. Chafing doesn't do anyone any favours. 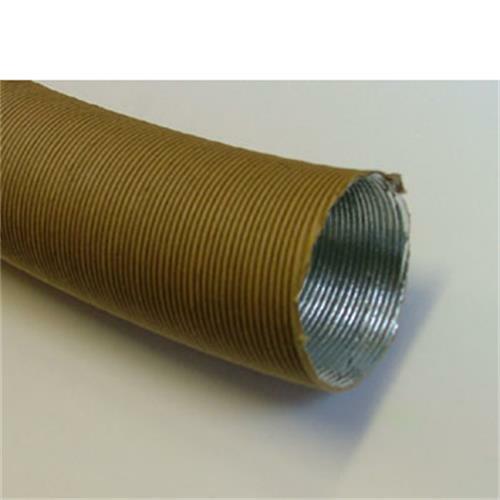 An additional length of ducting was purchased to extend the existing system in my motorhome. It was a perfect fit at a perfect price. Excellent service. Well packed but easy to open. Just the job.